Making your wedding day the perfect day. We are stockists of Essense of Australia,Kenneth Winston,Sweetheart & Phil Collins bridal. Established in 2006 - a business built on reputation. The Bridal Lounge - we create a relaxed and imtimate environment for all our customers to help with their special day. Welcome to The Bridal Lounge, proud to be National Finalists and Regional Winners of The Best Wedding Dress Retailer Award for the West Midlands, as voted at The Wedding Industry Awards. 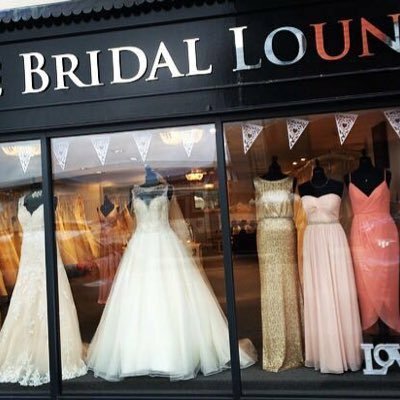 We create a relaxed and intimate environment to ensure that all of our customers have the most wonderful experience buying their bridal gown, bridesmaids and prom dresses and accessories. Our knowledgeable, honest and approachable team will provide a professional service that is second to none ensuring you will look completely fabulous on your special day. A visit to The Bridal Lounge is a must for any discerning bride so please browse our website and contact us to book an appointment. Please join us on our Facebook page for news and special offers by clicking the like button above.